The number of Oil spills during Loading ? Discharging is 3,170 between 1974 on 2015 according to statistics compiled by International Tanker Owners Pollution Federation. 95% of all incidents recorded fall into the small and medium size oils spills. Medium oil spills are between 7 -700 tonnes with small spills less than 7 tonnes. The number of medium oils sills between 7 and 700 tonnes was 393 between 1974 and 2015. The cost of oil spills can be great and all efforts should be made to use the best equipment with personal trained to the highest standards. 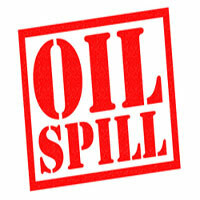 Further information on the cost of oil spills can be viewed here. Prevention is always better than cleanup. What is the Container shipping outlook in 2016? What are analysts predicting in the near future?